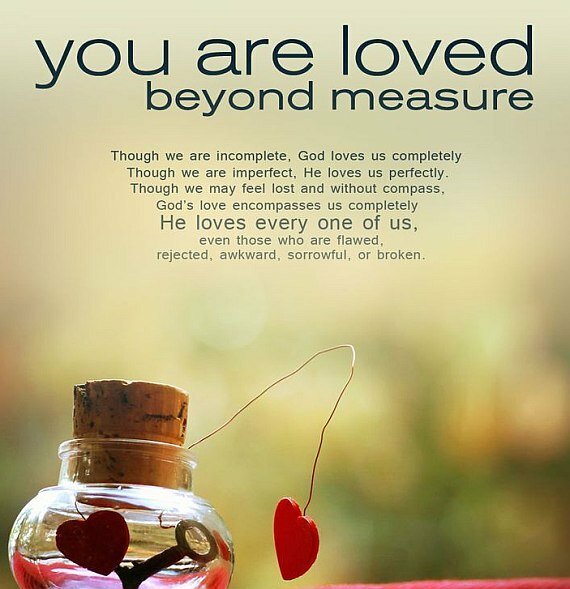 You are loved beyond measure. God loves us completely, He loves us perfectly. God loves every one of us.